The Golden Globes have introduced a new award this year. Fear not, this isn't going to provoke the same controversy as the Oscars' 'Best Popular Film' prize. The Hollywood Foreign Press Association, which conducts the Golden Globes, will hand out a new lifetime achievement award for television at this year's ceremony. Its inaugural recipient is Carol Burnett. The award will bear her name as the Carol Burnett Award from here on out. In this way, the award is the TV equivalent of the HFPA's Cecil B. DeMille, which honours those who have made significant accomplishments in the film industry. Carol Burnett is an American actress, comedian, singer and writer. She is best-known for her television variety show, 'The Carol Burnett Show', which was the first of its kind to be hosted by a woman. The new award was first announced during the unveiling of the Golden Globe nominations. 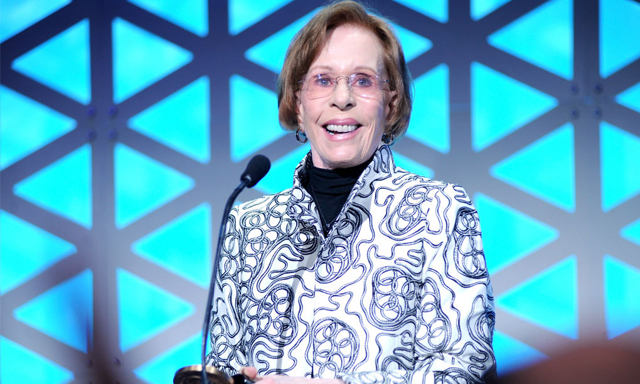 “For more than 50 years, comedy trailblazer Carol Burnett has been breaking barriers while making us laugh. “She was the first woman to host a variety sketch show, 'The Carol Burnett Show'. She was also the first woman to win both the Mark Twain Prize for American Humor and Kennedy Center Honors. The Golden Globes ceremony takes place on Sunday, January 6th 2019. Sandra Oh and Andy Samberg will host it.